Do you like Salsa ? I Love it ! It super easy to make. You can get really creative with the ingredients as well. 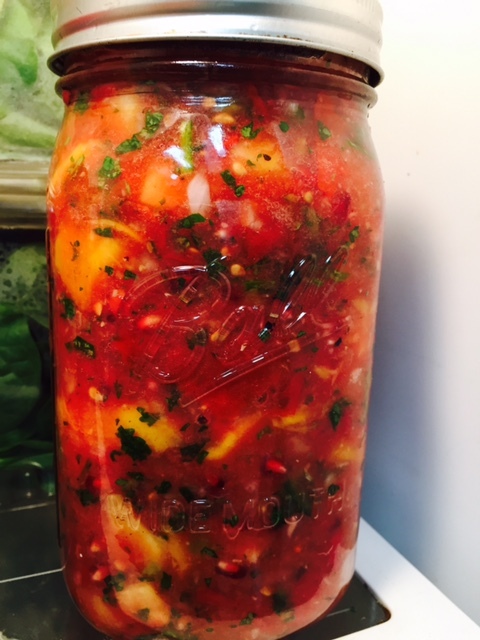 I have tried many different types of store bought Salsa. Ones that claim to be organic or really pure. Yet for some reason, it all tastes fake to me. There is an aftertaste. So now I always just make my own homemade. I hope you enjoy this as much as I do. Turn on some high vibrational music. Cut your tomatoes into 4’s and place into a food processor. Blend on high. Then add onion, cilantro, agave and salt. Blend on high again. Place in a large bowl. Cut pineapple, mango into small chunks. Add to the tomato mixture. Lastly add the pomegranate. Wa- La ! I guarantee you will be inspired to dance with every bite ! 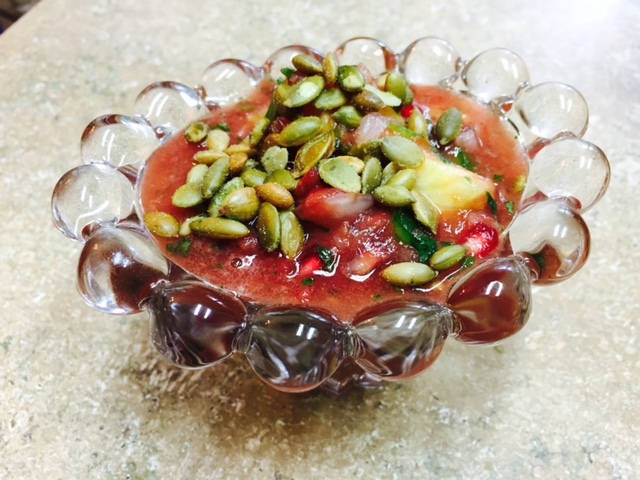 The above photo shows that I topped the salsa off with roasted pumpkin seeds which can be optional for you. My goodness! Thank you. And my palette and dancing feet say thank you as well. Momma is so making this. Another great post from JOL !